In an announcement made by Discotek Media through their official Facebook fan page, Lupin III: Green vs Red (ルパン三世 Green vs Red) will be released on DVD next year! Lupin III: Green vs Red is an OVA released in 2008 to celebrate the 40th anniversary of our favorite master thief brought to us by none othe than the great Monkey Punch (モンキー・パンチ). 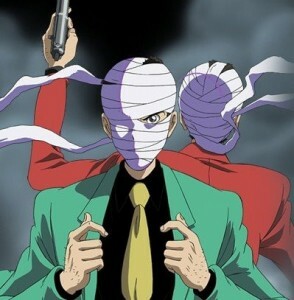 In Green vs Red, people have been imitating Lupin III after his disappearance. A Lupin III impersonator was captured and thrown in jail which prompted all the fake Lupins to storm Tokyo in an attempt to release the fake Lupin but they get captured themselves. From all the fake Lupin fiasco happening, a highly skilled pick pocket named Yasuo was given a gun as well as a green jacket that Lupin III is famously known for by an mysterious old man. Yasuo took the gun, donned the jacket and proceeded to take on the role of Lupin III. Yasuo was in the surprise of his life when his attempt to steal the Ice Cube prompted the appearance of the real Arsene Lupin III who was wearing the red jacket. If you haven’t seen Lupin III: Green vs Red yet, hang on for the release of the DVD which is scheduled for next year. Fans of the Green vs Red OVA should also get a copy of this awesome Lupin III OVA!